How do I get rid of the highlighted field? When a user taps/selects the field the entire selection becomes highlighted. How do I make it so the area doesn't get highlighted, the text isn't visible when the field becomes highlighted. You may remove the highlight effect from the PREFERENCE settings. 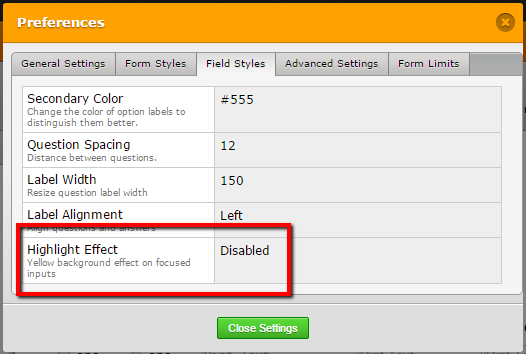 In the FIELD STYLE tab you may disable the highlight effect.